Since 1998, Cash Money Records, the New Orleans-born label founded by Ronald “Slim” and Bryan “Baby” Williams, has been a rap giant. Bursting into the mainstream in 1998 on the backs of the Big Tymer’s bling-heavy hits and Juvenile’s lightning-fast drawl, the label has since launched the career of stars like Lil Wayne, Drake and Nicki Minaj. 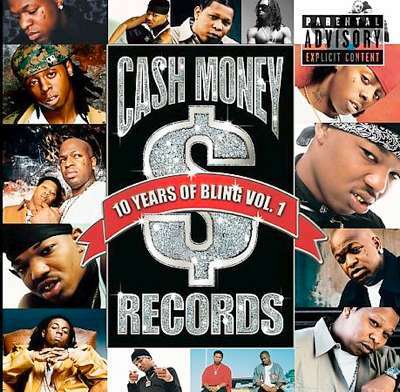 While Cash Money is best known for its distinctive brand of southern hip-hop, in its earliest years, it was most definitely a bounce label, releasing a string of albums that helped to define the New Orleans-based style. These are some of the definitive tracks from that period. Early Cash Money wasn’t just releasing bounce—it was releasing gangster bounce, a sub-style that, when faced by choice between NWA-style gangster rap and DJ Jimi-style party bounce, decided it could do both with style. UNLV, featuring rappers Lil Ya, Tec-9 and Yella Boy, rode that line better than almost anyone, rapping with subdued, rolling menace, while painting pictures of the street corners, clubs and roads that only New Orleans natives knew. Just listen to the opening couplet, and understand why this album made Cash Money a dominant force in its city. The cover of this album pretty much gives you the rundown on the music inside; giant marijuana leaf, a couple of benjamins, a 40-ounce of malt liquor, and an automatic rifle. The track fits the vibe—over a decidedly West Coast synth line, Big Man spins laid-back menace in full bounce cadence. Like a lot of the gangster bounce from this period, this track manages to avoid many of the genre’s trademarks (No "Triggerman"! ), while digging deep into its feel and rhythmic logic. No discussion of Cash Money bounce could be complete without a mention of Pimp Daddy. A highly skilled rapper (something that could not be said about all of Cash Money’s early signees), Pimp Daddy also stuck closer to the fundamentals of bounce, using his lyrical talents to create chants and rhyming patterns that are still employed today, over 20 years after his murder in 1994. Pimp Daddy’s popularity helped Cash Money cement its status as one of New Orleans’ foremost labels. By 1996, Cash Money had begun to transition away from the bounce sound that had built its early reputation. Albums by B.G. and Juvenile, while still bounce inflected, had begun to clear a path towards the style of hip-hop for which Cash Money would become rightfully famous. However, the label’s bounce wing may have saved the best for last. Still a teenager when she walked into the studio, Magnolia Shorty knew precisely what she was doing with this track. It’s a near-perfect distillation of what makes bounce great—catchy, vulgar, a brilliantly swaggering flow, and a killer "Triggerman" beat. The album cover is...legendary…. but probably (definitely) for the wrong reasons.